It is not uncommon today to see thousands from the slums and low-lying being displaced due to a development project construction. Often this quest to development, the society neglects the ones who are displaced and who lose their land, shelter and livelihood. The infrastructure sector in Gujarat has seen a great upward surge since last 15 years, which has led to mass evictions of slums residents and relocation to other sites. The evictions and the relocations in various cities of Gujarat are leading to multiple socio-economic issues, which needs to be addressed in a very proactive and transparent manner. The relocation sites are in the outskirts of the city, lacking basic civic amenities and with limited opportunities of getting a decent and sustainable livelihood is bleak for the residents. Saath is a strong companion to overlooked communities of the society. Saath through its several initiatives ensures that the displaced communities are resettled and rehabilitated properly. Saath voices it support for the victims of illegal evictions and undesirable, unfair resettlement plans. 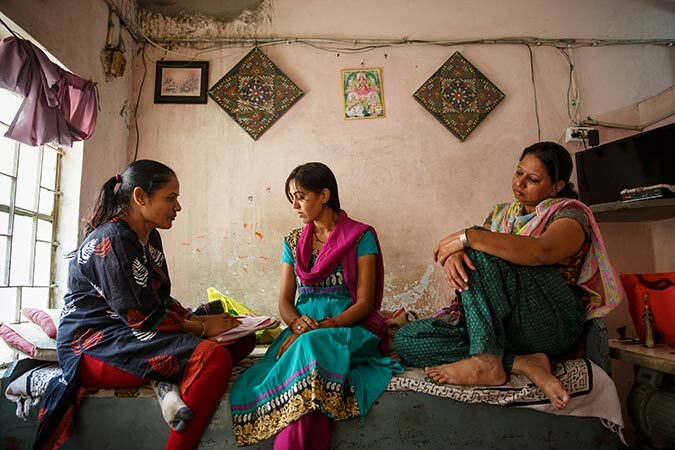 Saath believes that housing as a basic right of every human being. It promotes a holistic housing rights approach, which enables socioeconomic equity and development. This programme creates awareness amongst the slum communities about their housing rights and organize them again any illegal evictions which are carried out without prior notices and undesirable resettlements plans. Saath keeps the windows of continuous dialogue open with the Government agencies for accountability and transparency. 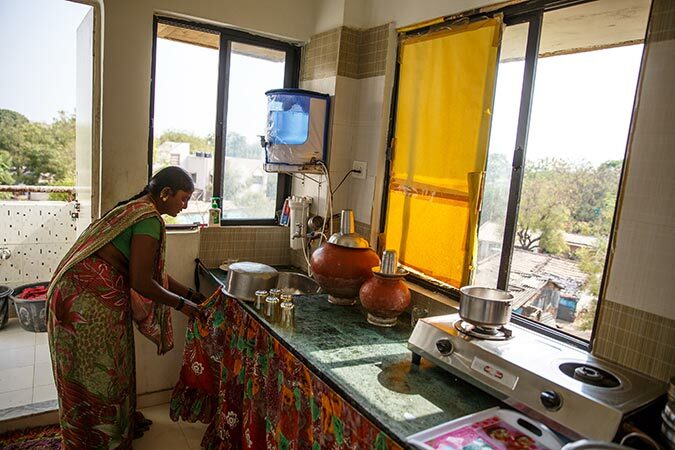 Saath has worked with over 5,000 families at relocated and resettled housing sites across Ahmedabad, Surat and Rajkot. One knowledge Sharing State Level network was also formed to work collectively on the issue of housing rights for the urban poor. 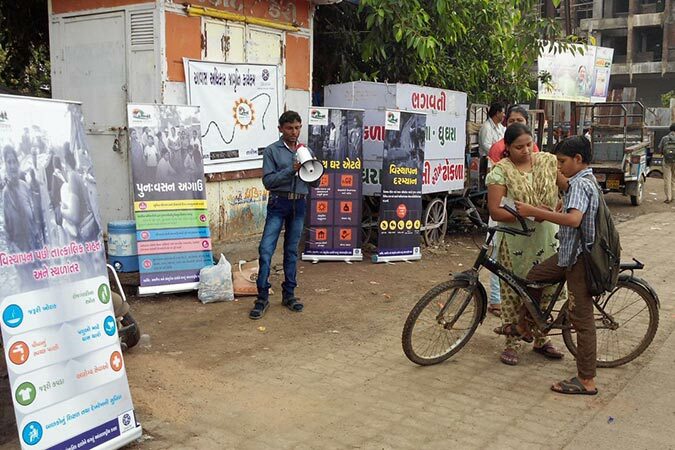 A number of organisations are part of this network: Lok-hit – Rajkot, Samata Charitable Trust – Surat, Prayas, Centre for Social Justice, Pathey Trust, Mahila Housing Trust, Janvikas and Researcher from CEPT University. When the World was celebrating International Human Rights Day on 10thDec 2014 Halapati vcommunity (an indigenous tribe in Surat) of Patel Nagar was victimized of gross violation of human rights. Surat Municipal Corporation had demolished 70+ houses of this vulnerable community under TP scheme. This vulnerable community had been living in the area of Ashwin Nagar (also known as Patel Nagar) since 1956 when the village Panchayat was the administration authority. Over the years geographical boundaries of Surat city were extended and it came under Municipal Corporation of the city. In 2012 people had filed a Public Interest Litigation (PIL) in the High Court. The judgement was given that the SMC should provide rehabilitation package to the community in their nearby area. SMC has followed the due process and given notice to the community, but because the community was not aware about the due process they had not taken any action and finally lost their houses and became victims of gross human rights violation. Although there are community people who felt that some of the houses are demolished illegally and to prove that they had plan to collect information from the SMC record. 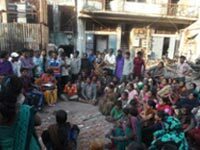 Saath’s housing rights team; Samata Charitable trust and civil society representative have supported the community and facilitated to file an application under RTI. It was the first time when a single department received 70 RTI applications in a da y. This was the record in Surat. Community is waiting for RTI reply and would like to continue their fight against violation of their rights.